Australia and New Zealand might be pretty far away from anywhere else in the world, but the long flight is absolutely worth it. These two Oceanic nations offer incredibly diverse scenery, from tropical beaches to lush rainforests to snow capped mountain peaks to fertile wine regions and everything in between. Australia and New Zealand are both paradise for adventure seekers, with many opportunities for hiking, white water rafting, snorkeling, scuba diving, sailing, climbing and much more. Australia and New Zealand also both have their own culture to explore. The food, wine, art and music scene in both countries is vibrant and exciting and in the major cities such as Melbourne, Sydney, Adelaide, Cairns, Auckland, Wellington and Christchurch you will find a superb collection of locally owned cafes, one of a kind restaurants, unique pubs and quirky boutique shops. With several great festivals throughout the year such as the Melbourne Comedy Festival in Australia and the New Zealand Fringe Festival in Wellington – you’ll have so much excellent comedy, music, theatre and other entertainment to enjoy. As well as natural and cultural wonders, you’ll find that the Aussies and Kiwis are friendly and laid back people – always up for a barbeque in the sunshine or a day out exploring. You’ll make a lot of great friends on your trip which will make your travel memories so much more special and meaningful. Deciding when to go to Australia and New Zealand isn’t always easy, as there are a lot of factors to consider including your interests, the activities you plan to do and what climate you prefer. Keep in mind that seasons in Australia and New Zealand are opposite to the Northern Hemisphere – when it is summer there it will be winter Down Under. There is not one “best time” to visit Australia and New Zealand as the climate is livable all year round. 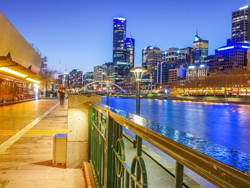 However, if you are sensitive to heat you might find the temperatures in Northern Australian destinations such as Cairns and Darwin to be too hot in the summer. Visiting Northern Australia will be more pleasant in April and August. In the Southern states the best time to visit is the summer months of January and February – although this will be the most popular time. 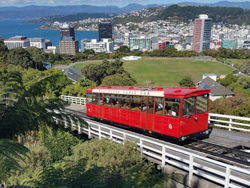 As for New Zealand, December through February is the best time to visit – unless you enjoy winter sports in which case June to August is the ideal season. The autumn shoulder season of March and April can also bring pleasant weather, lower prices and fewer crowds. In New Zealand you can also walk on the surface of an enormous glacier in Milford Sound or go big-game fishing in the Bay of Islands. 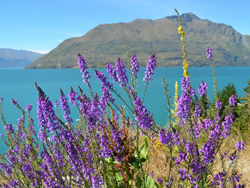 Queenstown on the South Island is the ultimate destination for adrenaline junkies as it boasts snowcapped mountains for skiing and hiking and a crystal clear lake for boating. 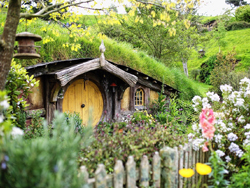 Lord of the Rings fans can head to Matamata and see the idyllic rolling green hills and quaint underground houses of Hobbiton. 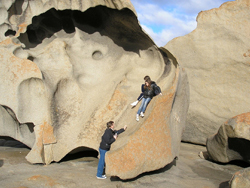 In Australia the travel experiences are equally spectacular. Climb to dizzying heights on the Sydney Harbour Bridge while strapped into a special harness. Take the ultimate seaside road trip on the Great Ocean Road, which will take you to the iconic limestone cliffs known as the Twelve Apostles. Go scuba diving on the Great Barrier Reef, one of the most incredible natural wonders of the underwater world. Of course, your trip to Australia wouldn’t be complete without heading out into the Outback and seeing the iconic Uluru (aka Ayers Rock). You can cook dinner over a campfire and sleep out under the stars. Another unforgettable adventure is the pristine white sand beaches of the Whitsunday Islands where you can go on snorkeling, diving and sailing adventures. If you love hiking you can go on a trek in the Daintree, which is the oldest rainforest in the world (even older than the Amazon). There are so many unforgettable travel experiences you can have as you make your way through Australia and New Zealand. Explore both the North and South Islands of New Zealand by arriving in Auckland and going on a harbor cruise. Take a mysterious blackwater rafting tour through the Glow Worm Caves and see the walls of the caves lit up like a galaxy with luminescent worms. Visit a Maori village in Rotorua and learn about the ancient traditions of carving and weaving, then join in with a traditional “hangi” feast and watch the cultural dance performances.